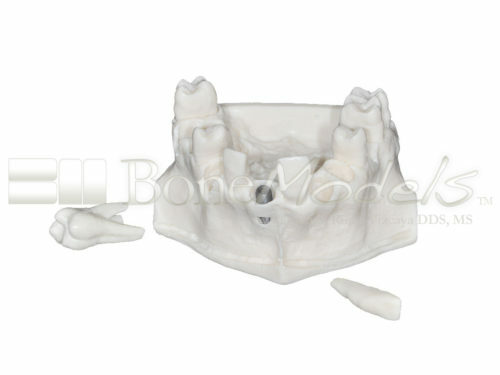 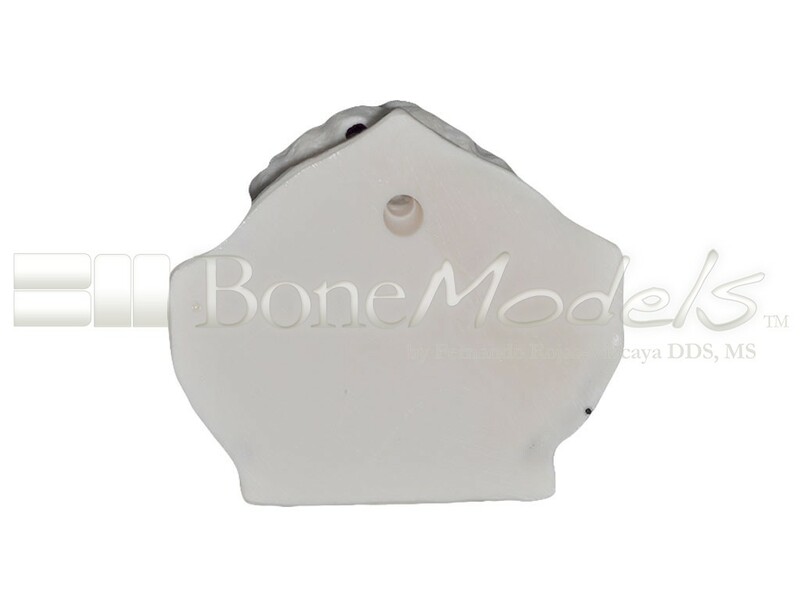 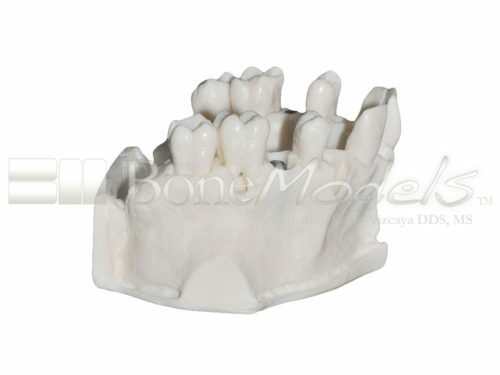 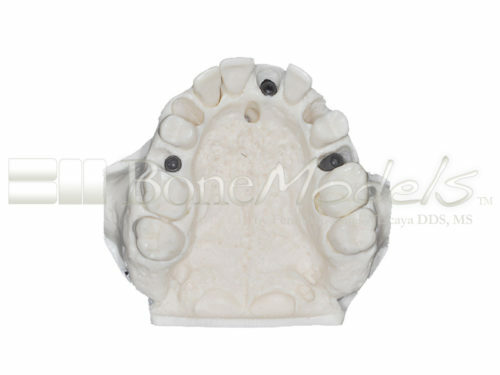 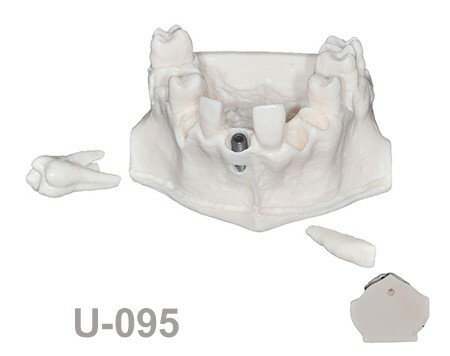 U-095: Maxillary model with five sockets three of them with implants. 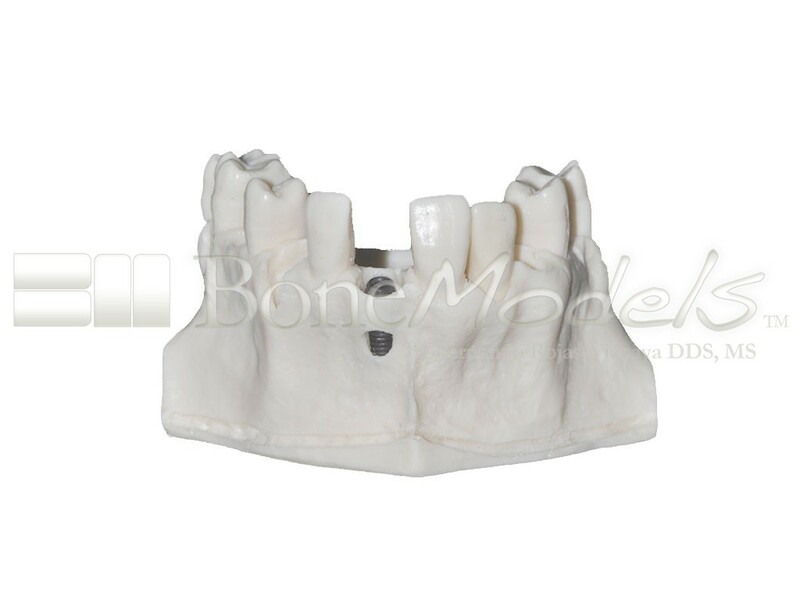 The bone has different bone deffects. 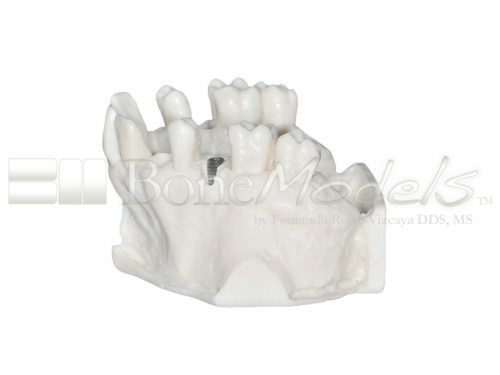 Maxillary model with five sockets: second left premolar with implant, left canine with dehiscence, left central with fenestration and implant, perfect socket in left canine and bone lost and implant in second left premolar. Furca in the first left molar and vestibulomesial in the second right lateral. This model is ideal for socket preservation technique.